On October 27th, The Gateway Pundit asked our readers a question: Will Twitter CEO Jack Dorsey dox WikiLeaks founder Julian Assange? According to a newly published piece by The Atlantic, the answer is YES. In October, Assange tweeted Sen. Feinstein’s letter to Twitter CEO Jack Dorsey, demanding he hand over the messages. “Senator Dianne Feinstein demands @jack hand over @WikiLeaks and my personal Twitter Direct Messages. Feinstein has been calling for my prosecution since 2010 over our publications,” tweeted the WikiLeaks boss. Recently, WikiLeaks founder Julian Assange told Rep. Dana Rohrabacher that he is ready to provide information proving Russia did not hack the Democratic National Committee. Could this have anything to do with the request? 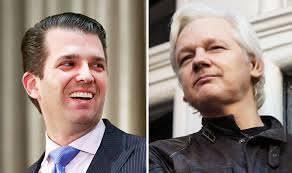 […]“Our three-hour meeting covered a wide array of issues, including the WikiLeaks exposure of the DNC emails during last year’s presidential election,” Rohrabacher said, “Julian emphatically stated that the Russians were not involved in the hacking or disclosure of those emails. […]“Julian also indicated that he is open to further discussions regarding specific information about the DNC email incident that is currently unknown to the public,” he added. As TGP previously reported, Wikileaks founder Julian Assange told John Pilger in an exclusive interview that it wasn’t Russia who hacked into the DNC and Clinton staff emails. In July, The Gateway Pundit reported a mysterious IT specialist, who goes by the name The Forensicator, published a detailed report that appears to disprove the theory that the DNC was hacked by Russia. Click here to read The Forensicator’s report.